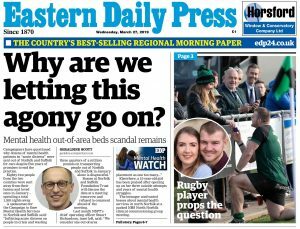 If you have a story or issue you feel should be included in this forthcoming campaign, please do get in touch. 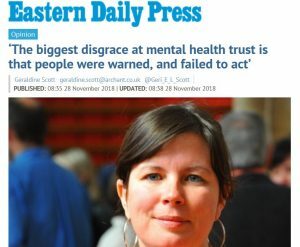 What about our loss of Central Government Funding; mental illness accounts for 28% of all illness and can often be a life-threatening illness, but only receives 13% of NHS funds. 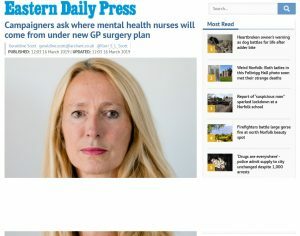 Despite Norman Lamb and David Cameron blathering on about ” Parity of Esteem “, they are about to discriminate once again against mental health services by demanding more savings from us compared to physical health services, and by denying mental health the extra funding that most Trusts will receive as a result of the recommendations from the Mid- Staffs inquiry, Forget the Parity of ESTEEM, give us Parity of FUNDING!